We notice ulcers or sores on tongue now and then. Some sores are painless and heal themselves in a few days, whereas a few linger on for weeks, causing discomfort and pain. There are multiple causes for getting sores on the tongue. Some of these sores are harmless like canker sores. But sometimes a non-healing tongue ulcer can be very serious as it can lead to oral cancer. To judge the severity of a sore on the tongue, you need to assess its appearance and the symptoms. Small sores on tongue can be a canker sore, cold sore, a tooth related abscess or a sore due to tongue bite. Comparatively bigger sores on tongue, which may have occurred due to constant trauma from a sharp tooth, should be taken seriously. If the sore hasn’t healed in a week or so, it can be pre-malignant. Pre-malignant lesions are cancer inducing lesions. We should visit a dentist immediately in such cases considering the worst case scenario. To know how serious are sores on the tongue, let’s see in details the various types of tongue sores, their symptoms, causes, and treatment. 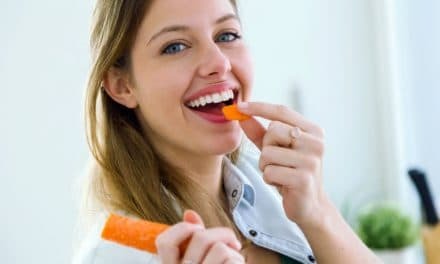 Canker sores are small yellowish-white sores that might appear on the tongue due to stress, deficiency in vitamin B12 and folic acid or due to genetic reasons. Canker sores heal on their own in a week without any scar formation. Mild to moderate burning sensations are experienced when we eat spicy or hot food and beverages. Cold sores are often mistaken for canker sores. But cold sores are larger and more painful. An underlying viral infection may be the cause. But, unlike canker sores, cold sores are highly contagious and require medical attention to heal. A fungus known as Candida Albicans causes oral thrush or candidiasis. It is characterized by tongue sores with white patches on them. The white patches can be scraped off by a toothbrush. It is a painless tongue sore but should be taken seriously as a fungal infection on the tongue depicts low body immunity. Lichen planus is an autoimmune disease in which our body considers a part of its own tissues foreign and self-destructs that tissue. Oral lichen planus is a very serious condition which is characterized by white non-scrapable patches on the tongue sores. It is curable with steroidal medication. Human ImmunoDeficiency virus (HIV) infections also cause tongue sores which do not heal on their own. HIV causes a lethal disease called AIDS (Acquired Immuno Deficiency Syndrome). Non-healing and recurrent tongue sores should be taken seriously because they are a common sign of AIDS. We can see small sores in a pattern on the tongue; the pattern often resembles a map. Hence the term geographic tongue is given to this condition. The sores are painless, but sometimes there is a burning sensation on the tongue. The sores in cases of geographic tongue do not heal on their own. The appearance of yeast infection sores is same as that of oral thrush sores. The only difference is, yeast infection sores cause a severe burning sensation of the tongue. Yeast infection also shows lowered body immunity and should be taken very seriously. If you have a broken tooth which is constantly poking your tongue and has caused a sore, it should be taken very seriously. A non-healing sore on the edge of your tongue often caused by trauma leads to tongue carcinoma (cancer). Needless to say, it is the most serious type of tongue sore, and immediate medical attention is required in this case. How to identify serious sores on the tongue? If your tongue sore shows one or more of the following signs, it might be a serious condition like an underlying infection or cancer. Seek immediate medical attention in such cases. Treatment of a tongue sore depends upon the sore and its cause. Canker sores on the tongue heal on their own whereas, more serious conditions like infection and carcinoma require treatment. Try to drink only cold beverages and eat soft foods until the sore has healed. If no improvement is seen even after doing the procedures mentioned above, consult a doctor immediately. Oral thrush sores are treated with nystatin, an antifungal medication. Lichen planus is treated with anti-oxidants and steroidal injections. Recurring canker sores can be treated with supplements of vitamin B complex and folic acid. There is no treatment as of yet for HIV and geographic tongue sores, but symptomatic relief can be given using numbing gels like benzocaine. Preventing a tongue sore that has occurred due to stress or nutritional deficiency is easy. We can take supplements of vitamin B complex and folic acid regularly. If you have a broken tooth that constantly hurts your tongue, consult a dentist and get the tooth fixed. Maintain good oral hygiene, brush twice daily and use an anti-microbial mouthwash. Healthy gums and a clean mouth keeps fungal and yeast infections at bay. Avoid eating extremely hot or spicy foods and beverages; they irritate the tongue. Getting a tongue sore now and then is common. But we must know when to seek medical attention. Long-standing sores on the tongue even with little or no symptoms can be serious at times. Maintaining good oral hygiene and good nutrition can keep minor tongue sores away. Also, you should keep an eye out for serious conditions like microbial infection, lichen planus, and a probable tongue carcinoma. A non-healing sore on the tongue or a recurrent tongue sore should be taken seriously. A tongue sore with a discharge of pus or bleeding are also serious and need medical attention. Our tongue is often deemed as a mirror of our health. 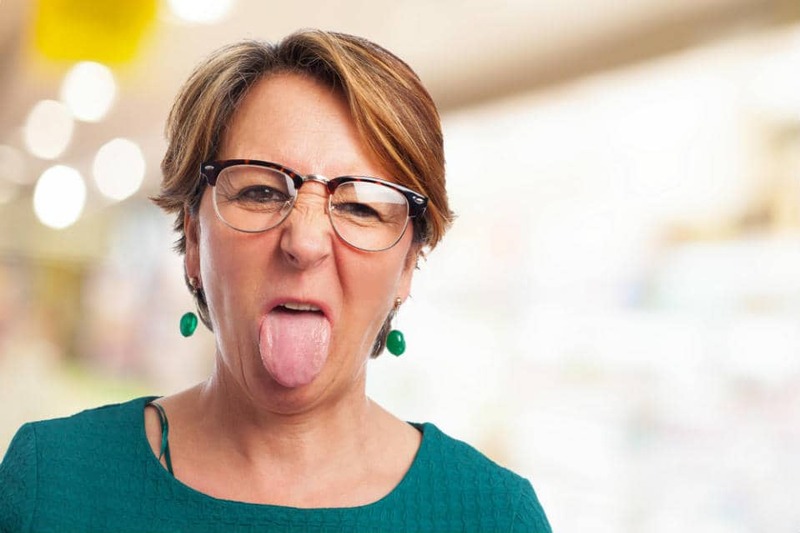 Hence, any abnormality on the tongue might be a reflection of an internal problem, and you should consult a doctor in such cases as soon as possible. Apart from self-healing sores, all other types of tongue sores should be taken seriously.